This affects the entire household. 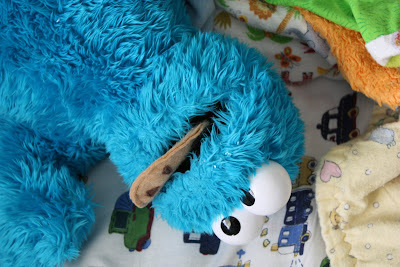 Even cookie monster feels it. 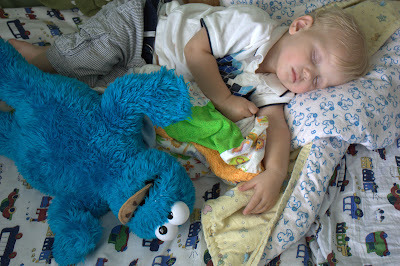 On this day, the poor blue fellow was abandoned, cookie in mouth, when Enzo fell asleep. I guess He probably prefers that to being abandoned without a cookie in his mouth. Still, he’s lucky to be a stuffed monster and thus immune to choking, otherwise he could have run into some trouble that day. 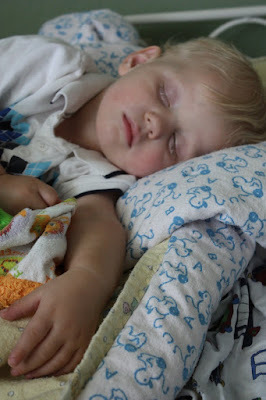 don't you wish you could get knocked so completely out in the same way. Oh to be little!